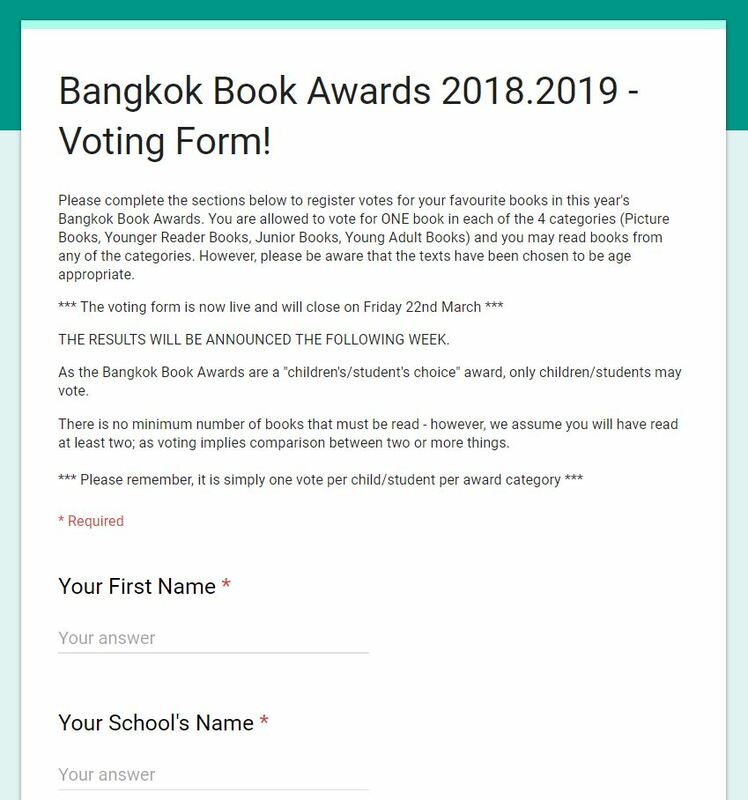 Cast your vote in the 2019 Bangkok Book Awards. Please feel free to upload your votes for the books you have read, whenever you have read them (at least 2) – remembering that you can only vote ONCE in each category that you are eligible for. The results of the voting will be shared with each participating school, and on this website, during the following week. Have a great reading experience!